We sell the Phillips Formfitter Tree separately as well. If you already own a Sawbuck or Decker Pack Saddle, it will make it easy to switch over the tree only. 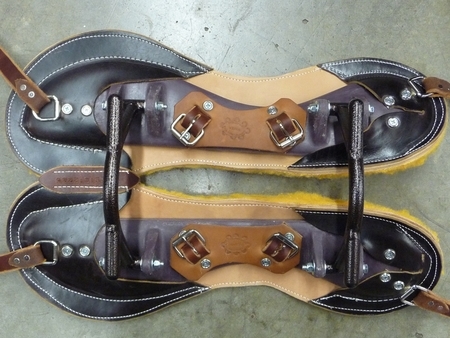 Roller buckles are attached to the center of the tree to attach the rigging easily. You even can move it up or down, as well as sideward on each side independently. The tree bars move at all times, allowing the tree to move with the movement of the animal. The tree bases are 23 inches long and made out of a unique polyurethane blend. It makes them durable with some flexibility, even in cold weather conditions. 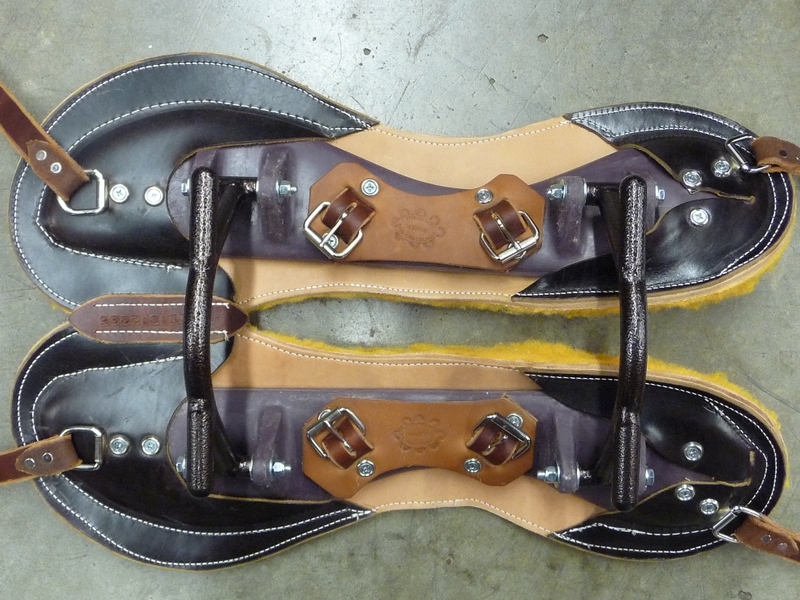 The tree bases have full leather sheath and fleece on the bottom for an even more comfortable fit. The metal tree bars are made out of a 60/61 powder coated aluminum.